Led by Dr Lee Nai Pin of Bayer Environmental Science and Steph Chua of Bentz Jaz, the 6 Approved Applicators of Agenda in Singapore made an early winter trip to Guangdong and Guilin in search of the infamous Formosan Termite, Coptotermes formosanus. "What is so special about this species of subterranean termites?" Like all termites, the Formosan Termite also feeds on the cellulose found in timber. It has been called “Super Termite” because it has certain characteristics that make it appear to defy conventional treatment and control, and is able to cause extensive damage to wooden structures in a relatively short period of time compared to the other species. A matured colony has as many as 6 million termites and this is about 6 times the size of the other species, so that it destroys wood faster. It can construct shelter mud tubes as deep as 8 metres in the ground, forage for food in areas as large as 3,550 sq. metres and travelling 115 metres in search of food. It can live in a kind of sub-nests called “cartons” without soil connection, drawing water from unlikely sources such as the condensation from an air-conditioner. This means that unless these “cartons” are detected and removed, chemically treating the soil will not exterminate it completely. 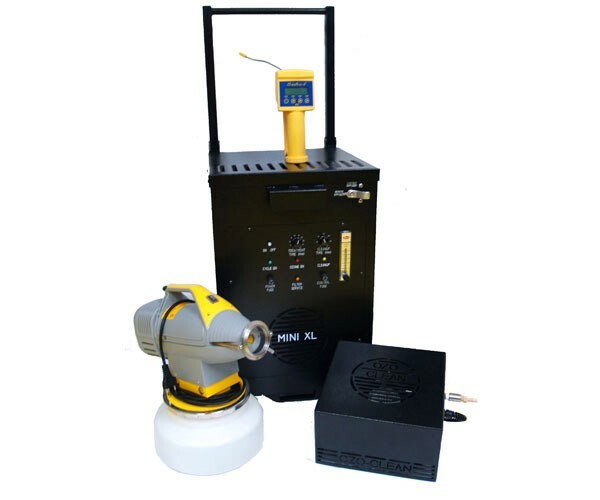 It is aggressive enough to sacrifice large numbers of workers to penetrate a termiticide barrier in the soil and because of extensive foraging it will locate even the smallest of untreated points (even hairline cracks) to gain entry into a building. Hence researchers have emphasised the need to apply the recommended dosage and quantity of the termiticide when termite-proofing a building. The Formosan Termite is identified based on the characteristics of its soldier. The body is pale yellow to brownish yellow with an oval-shaped or teardrop-shaped head. 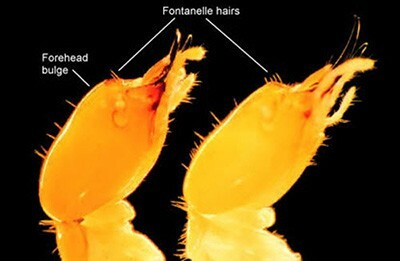 When agitated the soldier will secrete an acid substance from its fontanelle, marked by an opening located on the head at the base of its mandibles. This milky-white, sticky fluid is used primarily as a defence aid to hinder the movement of its enemies, namely the ants. It has been reported that this liquid has even caused short circuits by damaging electrical cables. Physically more aggressive, the soldiers will snap at your fingers with their mandibles when disturbed. A native to mainland China, it has moved to other countries in the Far East, including Taiwan (previously called Formosa, from which this species got its name) and Japan. It was collected in Hawaii in 1896 and is believed to have landed there in the soil of potted plants or in wood from China or Taiwan. Today it is a major pest on the Hawaiian Islands. It completed its crossing of the Pacific Ocean when it was identified in Charleston, South Carolina in 1956 and later in a shipyard warehouse in Houston, Texas in 1965. It is now a much feared pest in the Gulf Coast and American entomologists are waiting to find out if it will survive the recent flooding in New Orleans caused by Hurricanes Katrina and Rita. Despite centuries of trading between South East Asia and China and Taiwan, there is no evidence that the Formosan Termite is resident in Singapore or Malaysia. Associate Professor Lee Chow Yang from Universiti Sains Malaysia in Penang believes that it is because our weather is far too hot for it to survive. He says that the distribution of the Formosan Termite is limited to 20 to 35 degrees latitude in the northen hemisphere. But we have a cousin of the Formosan Termite here and it is Coptotermes gestroi, which looks similar and even has similar behaviour, including the building of “cartons” inside wall partitions and kitchen cabinets. Using molecular biology techniques, Associate Professor Lee”s laboratory can separate the 2 species by comparing the sequences of a few mitochondrial genes. But morphologically both species are different because the Formosan Termite soldier has 2 pairs of hairs on the fontanelle while the Coptotermes gestroi soldier has only 1 pair. Perhaps one day someone will carry out DNA tests to see how closely related they really are.